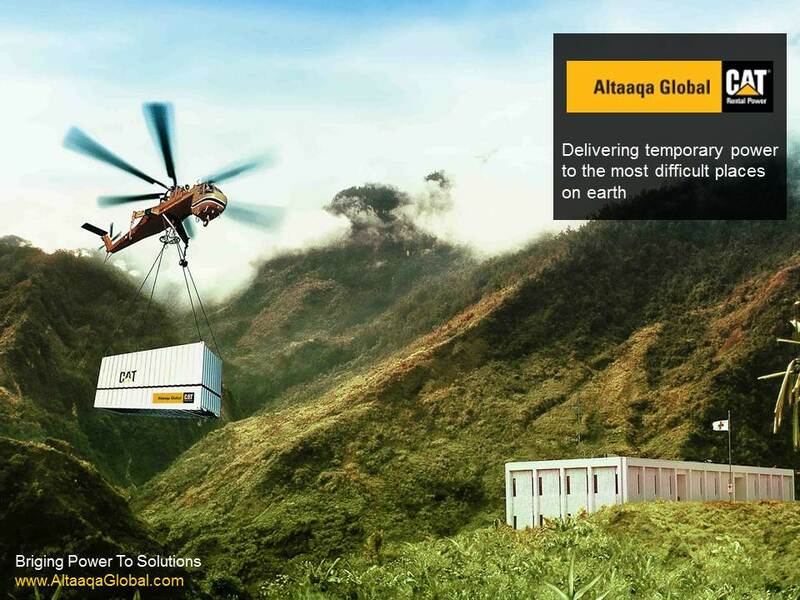 Altaaqa Global, a subsidiary of Zahid Group of Companies, has been selected by Caterpillar Inc. to deliver multi-megawatt turnkey temporary power solutions worldwide. We own, mobilize, install, and operate efficient temporary independent power plants (IPP’s) at customer sites. We are positioned to rapidly deploy and provide temporary power plant solutions, delivering electricity whenever and wherever it may be needed. Altaaqa Global is able to provide large-scale turnkey temporary power solutions anytime, anywhere at extremely short notice. We have state-of-the-art equipment and focused expertise to quickly deliver power projects of 20MW or more. Our vision is to become the leading, trusted, reliable and fast provider of temporary power in the international power projects (IPP) industry. Our mission is to continuously propel the economic growth of our customers by providing flexible, reliable and guaranteed energy solutions. The Zahid family has been connected to commerce for over a century, playing a pivotal role in the development of Saudi Arabia’s infrastructure. Today, through partnerships, joint ventures, wholly and partially owned subsidiaries, Zahid Group of Companies represents a diverse range of companies, offering comprehensive, customer-centric solutions in a number of thriving industries. Some of those include construction; mining; oil & gas; agriculture; power, electricity & water generation; material handling; building materials; transportation & logistics; real estate development; travel & tourism; waste management & recycling; and hospitality. In 2004, Zahid Group of Companies formed Altaaqa Alternative Solutions, a rental equipment company in Saudi Arabia, which became the largest CAT power generation fleet owner in the world. Altaaqa Global was nominated by Caterpillar Inc. in 2012 as a global service provider to pursue large-scale power projects around the world. Our business principles are guided by our shared values of integrity, respect and tolerance, trust, professionalism, competence, commitment to excellence. We take pride in what we do.